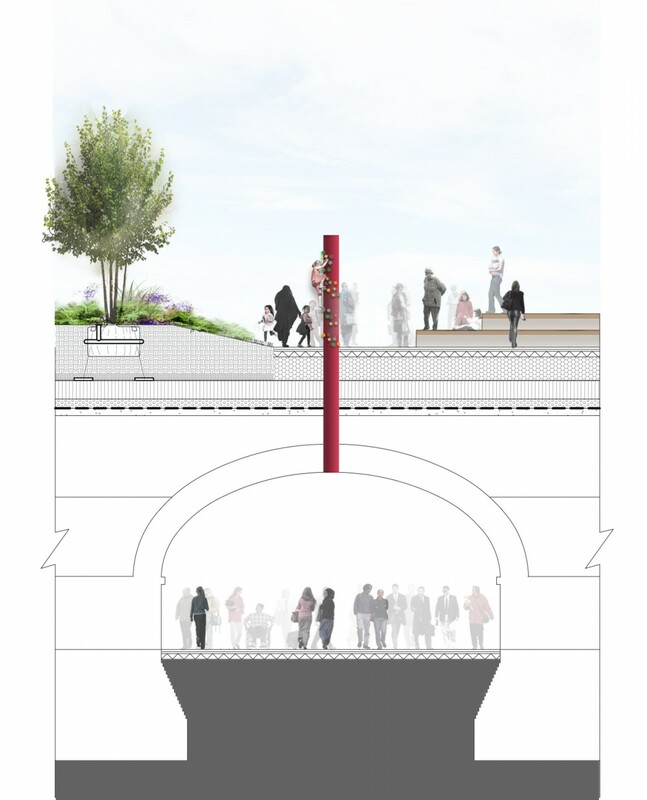 Spacehub are leading a collaborative team of locally based designers for what is currently one of London’s most ambitious new pieces of public realm. 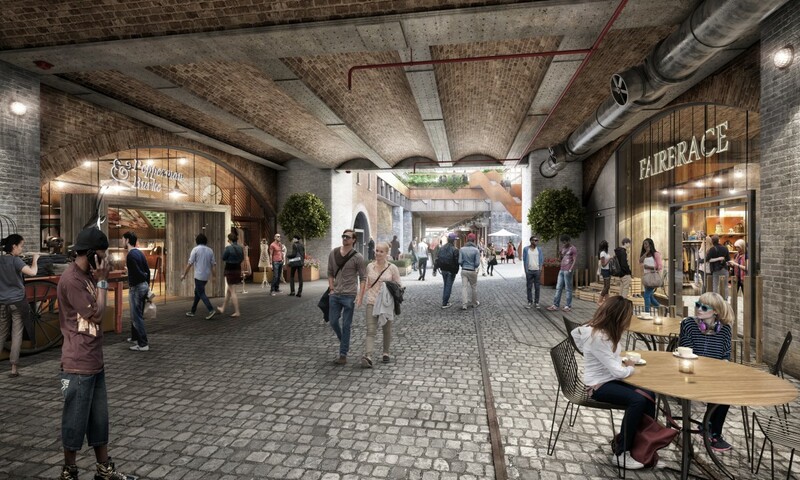 Originally established as a passenger station in 1840 the site has remained derelict since it was destroyed by fire in 1964. 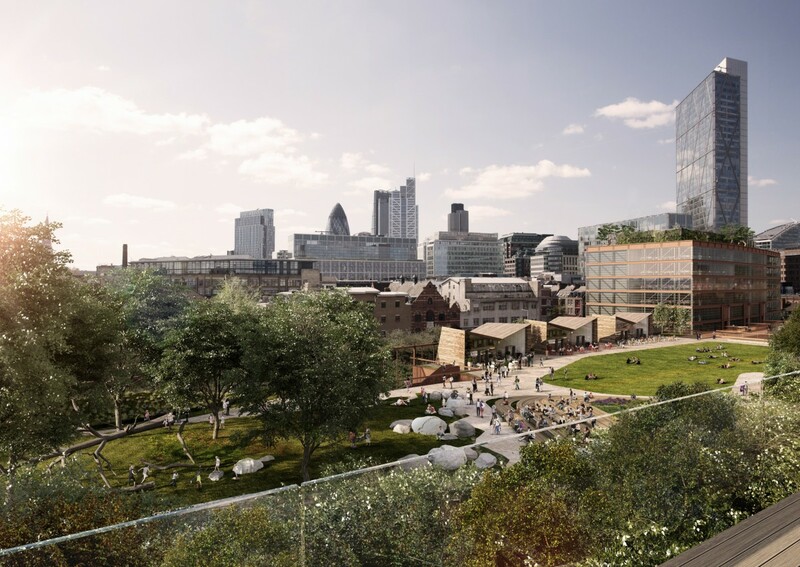 This redevelopment will create 5.45 acres of park and public realm with a design that draws on the historic fabric of the site. 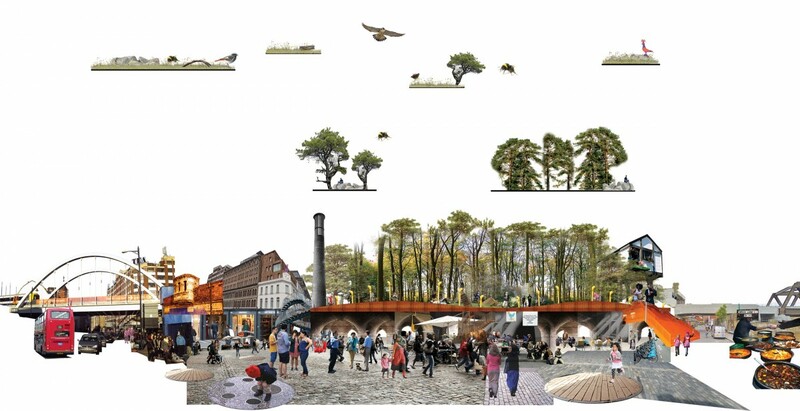 The proposal is to create a rich multi-layered landscape which evolves ‘From the Ground Up’, with layers conceived as a transitional experience from city to wilderness. 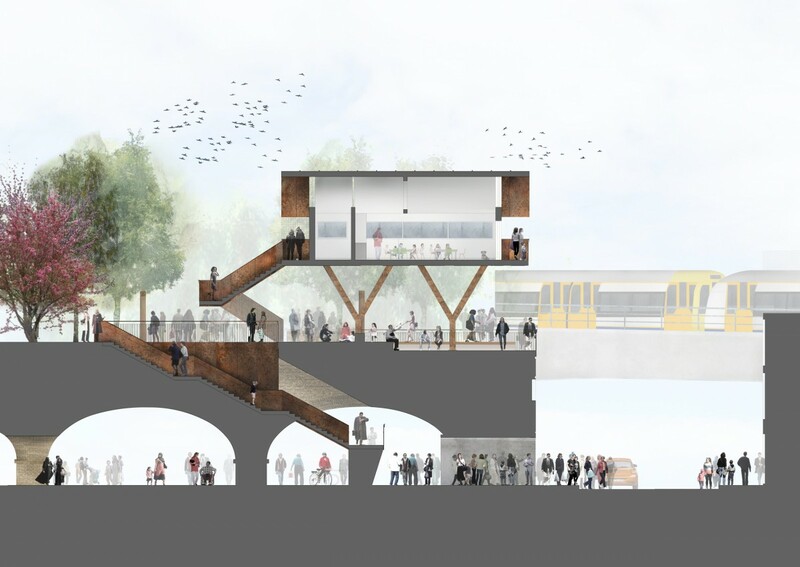 The fast space at ground level transforms to a slow space at park level connected via four theatrical stairways and lifts. 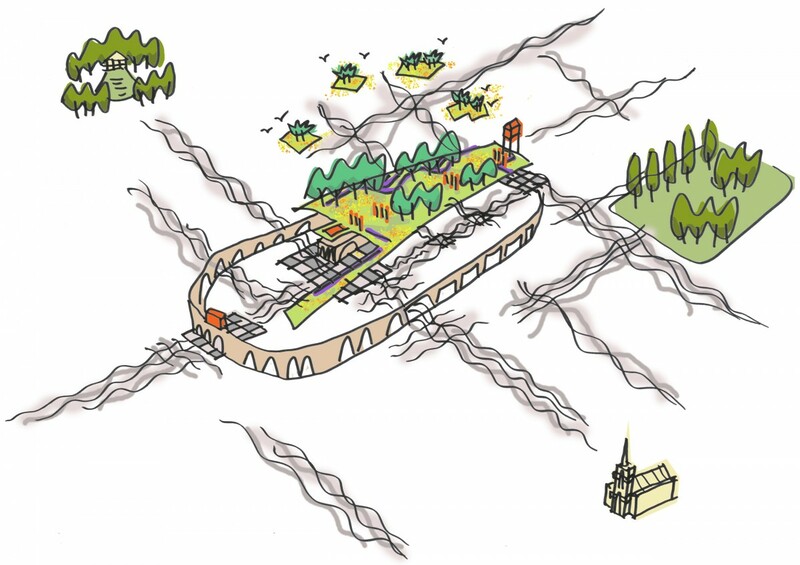 The layered landscape has four principal levels. 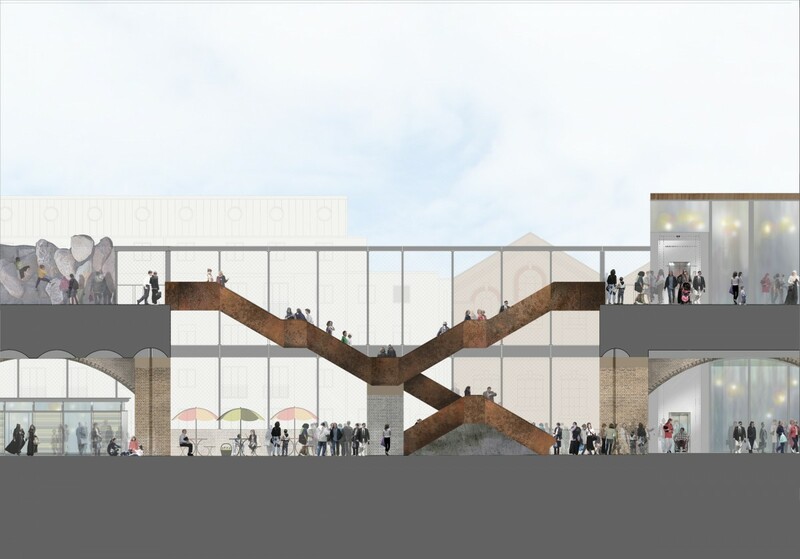 At ground level ‘The Shoreditch Tapestry’ will offer a robust public realm that creates new connections and celebrates the historical and cultural layers of the site and its context. 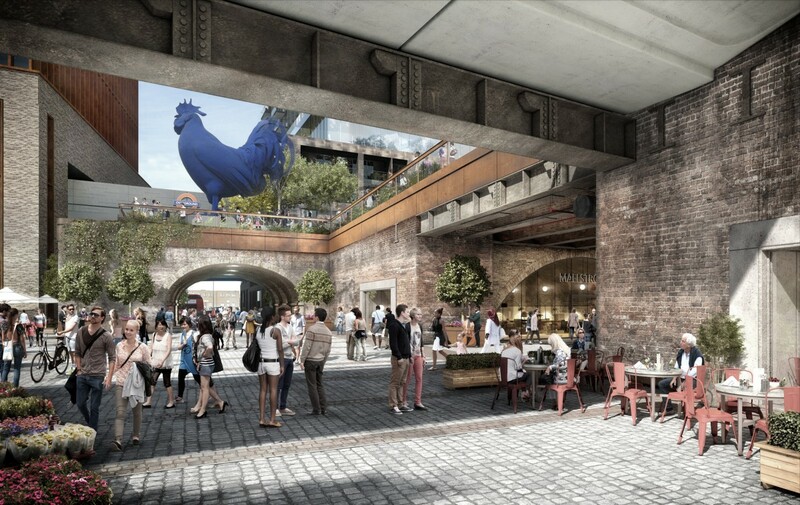 This will be a hub of activity, with public art and cafes. 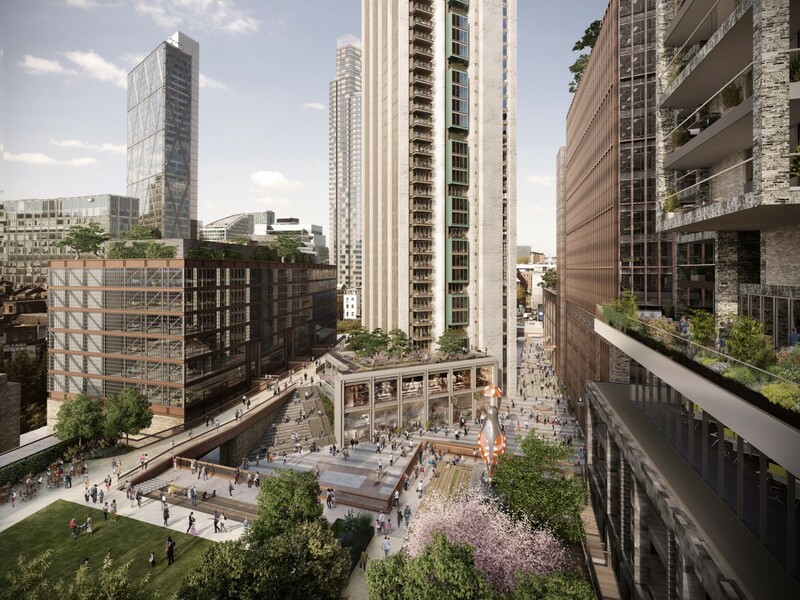 At park level ‘The Goodsyard Gardens’ will provide a peaceful retreat which is playful, ecologically rich and expresses the historical narrative of the site reached by the ascending stairways, such as the central ‘Farthing Lane Stair’ with panoramic views over the rail lines and cityscape beyond. 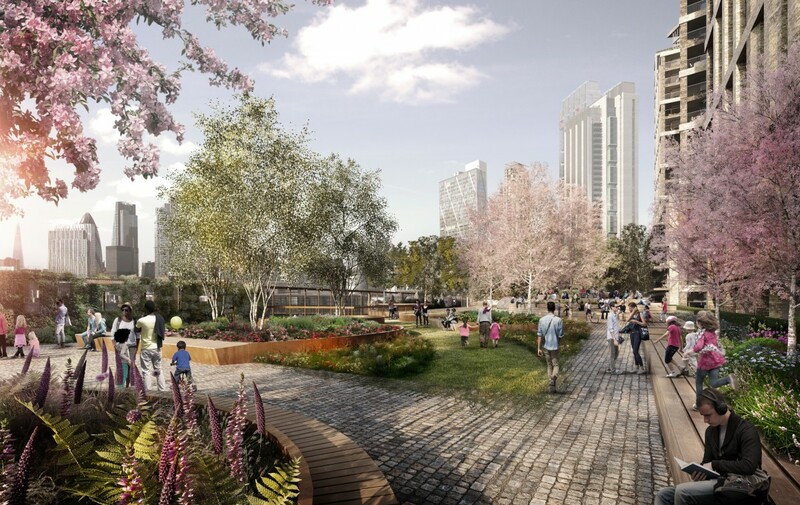 Sitting on top of the Braithwaite Viaduct, the Gardens provides a substantial new piece of green infrastructure and amenity for the community – with three garden areas created within the 2.4 acres of open space to provide a range of uses. 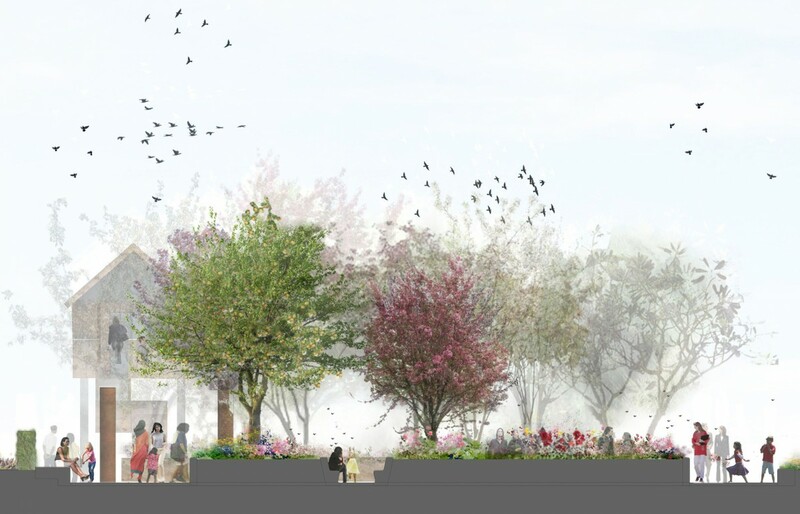 This area offers a large open lawn, and gives opportunities for picnicking, children’s play – with natural play features such as giant boulders, logs, dens, bouldering wall, climbing poles, outdoor gym features, and educational play with historical and ecological features. 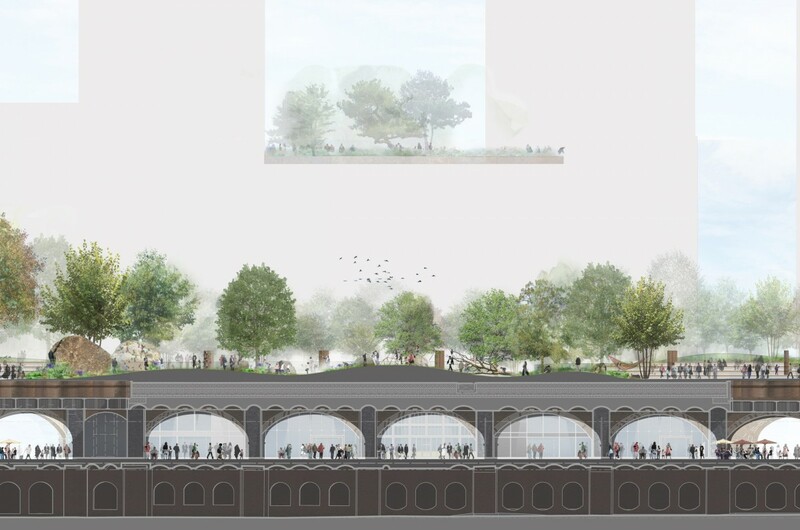 The top of the Viaduct will be covered in substantial swathes of planting including areas of mature woodland. 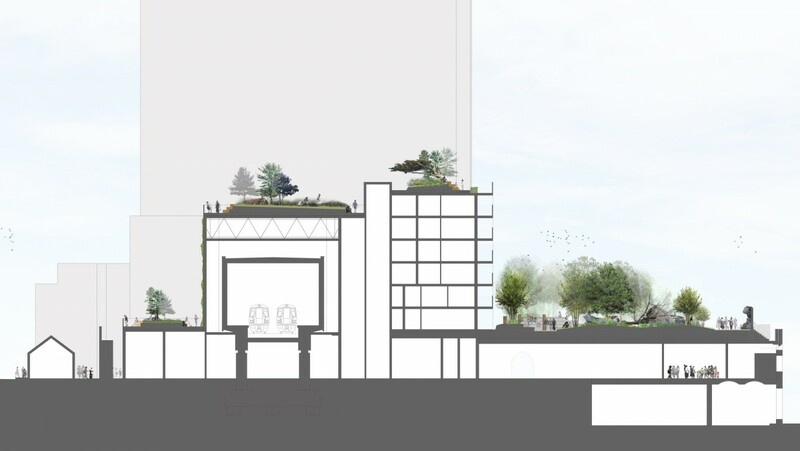 The re-development will also create a garden level for residents, ‘The Outcrop Gardens’ – a multi-levelled extension of the park gardens conceived from woodland floor to rocky outcrop – whilst, at roof level ‘The Wildlife Gardens’, will introduce biodiverse roofscape providing visual amenity and valuable ecological habitat. 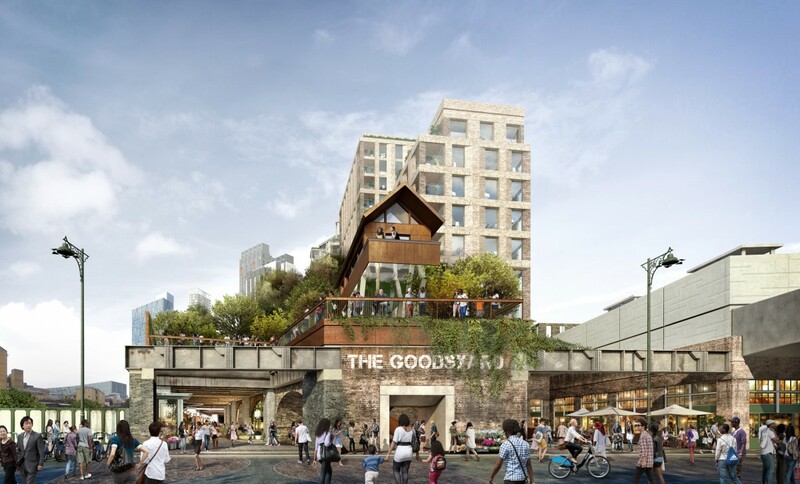 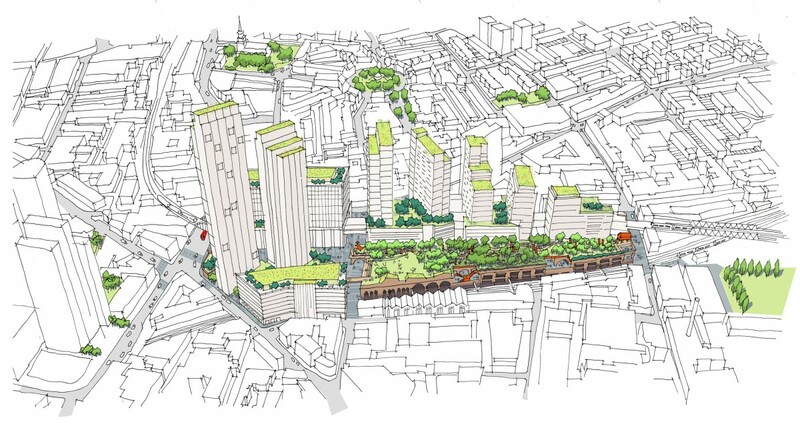 Managing the public consultation on The Goodsyard over the last 3 years has been a unique experience for us. 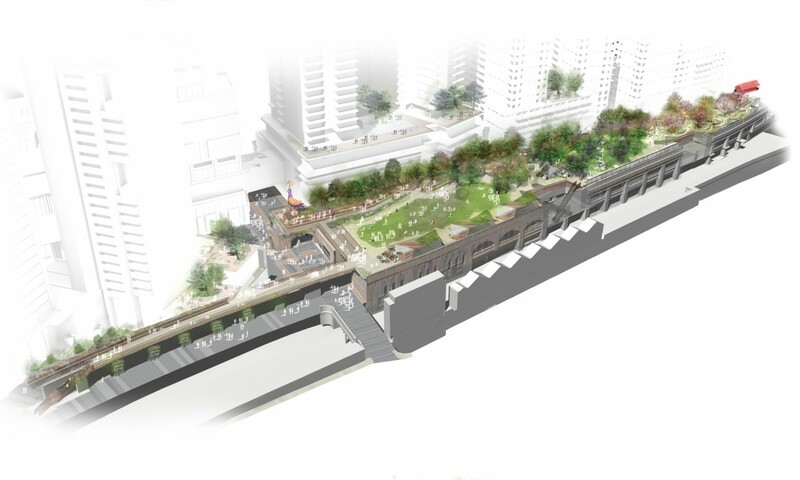 A project of this scale, in a much treasured part of London, is not without its controversies but one clear message has been an overwhelming support and enthusiasm for the park and public realm. 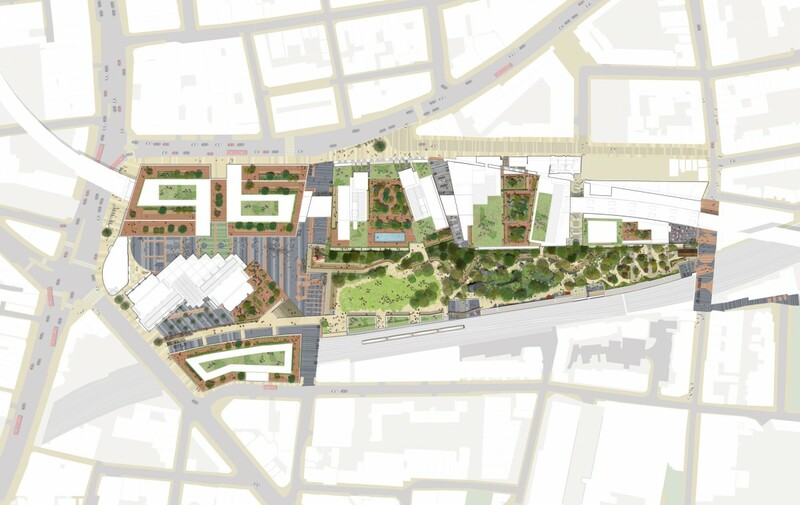 The Spacehub + Friends team have embraced the consultation process with a very genuine ambition to engage and benefit from the input of the local community. 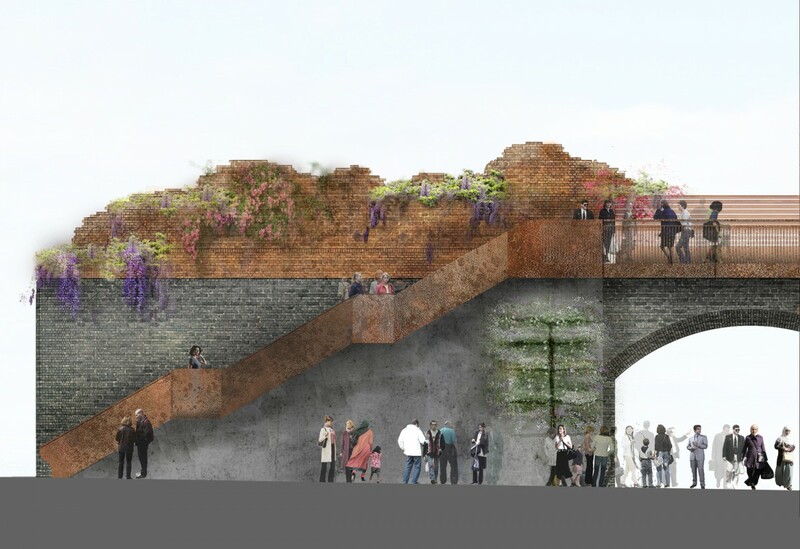 It has been rewarding to see these relationships being established and how their design has been able to respond to some of the challenges and ambitions presented.